Young boys playing happily in a park… a lovely picture to glance at. Their youth, energy and innocence seem to linger through my veins- a feeling that I have been longing to sense for a while now. One boy was kicking the soccer ball with great confidence that he would reach the goal. Another was manning him, preparing all his might to block the kick. There was one who was just running around the field with bare feet, enjoying the strokes of the grass on his soles. It seemed that their world evolves only on what they were doing, so soft and gullible. This is the vision that I saw before I went to work one day, a perfect image of how children should be. They play, enjoy life and do not have any struggles. At their very young age, they are supposed to be just “kids”. Little did I know that at that same day I would change my usual perception about children. Randolf was this first patient that I attended to. He was 10 years old, incidentally, just came from a soccer tryout where he injured his left knee after hitting another kid. He was sitting on a stretcher and was sobbing. As I approached to attend to him, I was sure that he was crying because of the excruciating pain brought about by his injury. “Piece of cake,” I thought to myself. I was to assess him first and provide some comfort measures. Then, he would surely be better. But, after doing what I thought would make him well- wound care and antiseptics, and some pain medications, he still went on with his crying. I froze for a moment. I never thought that at a very young age, a child would say those words. He speaks of his concerns and his plans. I underestimated him. He wanted to get involved in a team and is willing to play by the rules. I was too judgmental. He speaks about not wanting to miss school. He wanted to learn and do his homework. I was enlightened. He is a little man in the making. I didn’t realize, until then, that I had to include Randolf’s concerns in the plan of his care. He wanted to play again, to go to school and to reach for his dreams. He wanted his leg to be better. I continued to sit with Randolf to indentify his other concerns. We talked, exchanged some views and planned his rehabilitation schedule before I discharged him. As he left the emergency room, I felt that he lightened up—seeing a bit of hope for his concerns. He left with a smile painted on his face. A few months later, a familiar face greeted me in the emergency room. He wasn’t in any way ill- no pain neither any injury. He was wearing a medal and was holding a soccer ball. It was Randolf and he got his first medal as his team won 3rd in the soccer competition. “I forgot to say thanks the last time.” He went on talking proud about his accomplishments after completing the rehabilitation program. He was happy. Children, as little and innocent as they seem, are not kids anymore. They are slowly exploring their self, learning the social rules and capable of decision- making. They are not that responsible enough thus guidance is still needed. They have needs to be helped with. They have lots of things to learn. With the proper assistance, they will be self directed. Kids will not be kids forever. They will be a man soon. Imogene King completed her diploma nursing education in 1945, at St. John's Hospital in St. Louis, Mo. She obtained her Doctorate in Education from Columbia U. N.Y.
She has practiced as a staff nurse, nurse educator, and nurse administrator. She formulated her theory while she was an associate professor of nursing at Loyola U. in Chicago. This was at the time nursing was emerging as a profession and some nurses sought to challenge the existing role of nurses. King began her work in nursing theory with a conceptual framework. King considers her theory as a deviation from systems theory, with emphasis on interaction theory. 1. An open system framework as the basis of goal attainment. 2. Nursing as a major system within the health care system. 3. Nursing process emphasis on interpersonal processes. •Theory of goal attainment was first introduced by Imogene King in the early 1960’s. •Theory describes a dynamic, interpersonal relationship in which a person grows and develops to attain certain life goals. • If nurse with special knowledge skill communicate appropriate information to client, mutual goal setting and goal attainment will occur. Many people believe King's theory of goal attainment to be a productive and empowering way for nurses and patients to interact. There has been some discussion about how well the theory applies across all groups of patients, as it is necessary for the patient to be able to interact with the nurse to develop and agree on goals, and on ways to work toward those goals. Others contend that King's theory can be applied to all groups because a large portion of communication involves nonverbal behavior, so being able to communicate through spoken language is not a prerequisite for transactions to occur. • Nursing focus is the care of human being. • Nursing goal is the health care of individuals & groups. • Human beings: are open systems interacting constantly with their environment. The theory of goal attainment, which lies at the heart of King's theory of nursing, exists in the context of her conceptual framework. The essence of goal attainment theory is that the nurse and the patient work together to define and reach goals that they set together. The patient and nurse each perceive, judge, and act, and together the patient and nurse react to each other and interact with each other. At the end of this process of communication and perceiving, if a goal has been set a transaction is said to have occurred. The nurse and patient also decide on a way to work toward the goal that has been decided upon, and put into action the plan that has been agreed upon. King believes that the main function of nursing is to increase or to restore the health of the patient, so then, transactions should occur to set goals related to the health of the patient. After transactions have occurred and goals have been defined by the nurse and patient together, both parties work toward the stated goals. This may involve interactions with other systems, such as other healthcare workers, the patient's family, or larger systems. 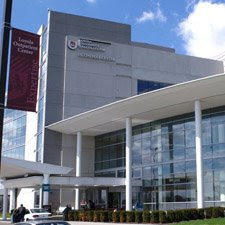 After the transaction has occurred, and the goal has been set, King believes that it is important for good documentation to be practiced by the nurse. She believes that documenting the goal can help to streamline the process of goal attainment, making it easier for nurses to communicate with each other and other healthcare workers involved in the process. It also helps to provide a way to determine if the goal is achieved. This assessment of whether or not the goal has been successfully achieved plays an important end stage in King's goal attainment theory. The essence of Goal Attainment Theory is for the nurse to promote health by using initially the nurse's personal system. It begins with self-awareness of all the components of his personal self. It is only after self awareness that the nurse will be effective in the assessment of the client. The nurse then interacts with the client and begins communicating. Upon communicating, the interpersonal system will then exist, which is basically the overlap of the personal system of the nurse and the client. It is imperative then that the nurse has a solid awareness of himself before communicating with the client so that the interpersonal system will be created in a sense that the nurse provides confidence to the care that he will be providing. The Social System then builds up from the interaction that was created. It is where clear and distinct roles will be defined and the client will realize that he is a patient who, with his actions; permitted himself to be in an institution that has the same goal as what he wants. The client wants to get well or be healthy that is why he is in a caring institution (e.g. hospital, clinic, etc) where he has to follow certain rules as well as to communicate his needs to the nurse; which is a part of the caring social system. It is then when transaction occurs; which is the process of purposeful, goal-directed interaction with the environment to achieve mutually acceptable goals. Situation: An 80-year-old female patient came in the Emergency Room lying on a stretcher. She was brought to the hospital by her son because she was no longer responding to verbal stimulations. She had a nasogastric tube because she is no longer capable of feeding orally. Upon assessment, we found out that she responded to pain stimulation. Her vital signs were BP-140/60, RR-25, PR-108 and T- 38.2. The patient’s Glasgow Comma Scale was 8. In this situation, the patient can no longer speak or decide for herself, so her son can provide the necessary information and decisions for both of us to formulate goals that are necessary for the patient’s care and later on act on them. Through proper interaction and effective communication with the patient’s son, we were able to understand each others ideas and concerns and we came up with the goals (for their time being at the ER) : to stabilize the patients situation, preserve the patients integrity and carry out necessary laboratory examinations to know the underlying cause of the patient’s current problem. In the care of my elderly patient, I was very careful with the procedures that I executed especially with the invasive ones such as IV insertion, since elderly patients are very susceptible to infection. Through this, I can prevent doing further harm to her. I then promoted an environment where I maintained the patient’s integrity through providing her physiologic needs. I also interacted with the patient despite the fact that she is unconscious because I believe that by doing such, I acknowledge and respect the value of my client. Not only that, I allowed her significant others to be involved in the assessing, planning and execution of the plan of care for the patient. After carefully assessing the status of my client, interacting with his son and formulating goals, I started deliberating on what nursing procedures are best for the patient while at the emergency room. So I decided to carry out the physician’s orders (medications, laboratories, IV fluids, etc.). Then I promoted a safe and clean environment for the patient. And since the patient can no longer provide her basic physiologic needs, I fed her via the nasogastric tube and changed her diapers and clothing to maintain her body’s integrity despite her disability. I also allowed her son to participate in the planning and intervention so that she may feel loved and well taken cared of. After 3 hours of attending to the patient at the Emergency Room, the patient’s vital signs were stable, the laboratory examinations necessary for knowing the client’s status were executed, and the patient was transported safely to the ward department. I then endorsed the care of my patient to the ward nurse. 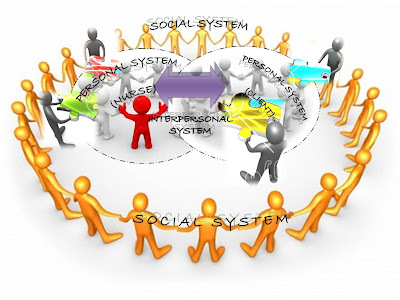 Imogene King's model is a model of three interacting systems: personal, interpersonal, and social. In her theory of goal attainment, she states that client goals are met through the transaction between nurse and client. The model can be applied to all settings. King describes her model as a conceptual system and the goal of nursing as bringing a person closer to a healthy state (King, 1997, 2001). The nurse and the person interact toward a goal. The end-point of this interaction, which occurs over time, is transaction, at which the person's goal is met. Working as a staff nurse in a Primary Health Center, Imogene’s theory is realized through the importance of interaction, perception, communication, transaction, self, role, stress, growth and development, time, and personal space with our patients. Most of them are for regular check-up and follow ups which give us opportunity to plan nursing care and set goals to be achieved by the patients for a certain period of time. Middle-East countries especially gulf area are known to have one of the highest mortality and morbidity rates in Diabetes. Most of them are obese, non-working, and has inactive lifestyle. Diabetic patients are carefully managed in our diabetic clinic. Each of them are given monthly appointments to follow up with the nurse and the doctor to evaluate the care that is planned both by the nurse and the patient to establish a controlled blood sugar, prevent diabetic foot and engage patients in healthy lifestyle. Patients are encouraged and motivated to participate in the care of plan that is most comfortable with them and most importantly within the norms of their society and acceptable to their culture and tradition. They are usually taught to self-inject themselves with insulin or a family member is asked and taught to give insulin to the patient. Patient or a family member is also taught to check and record the blood sugar everyday and to keep a record about the food that the patient has eaten. During their monthly appointment we evaluate all that is taught to the patient and revise everything if it is important and necessary for the health of the patient or we refer them to Hamad General Hospital if it is deemed necessary. Each of them has a registration book where we document everything and where all records are kept. Patients are involved and empowered in a way that they get to have a chance to participate in deciding the plan of care for them. Since working in a primary health care, prevention and health education are strengthened and greatly emphasized to the patients and interaction is necessary to set goals and prioritize plan of care. King’s Goal Attainment Theory emphasized the ten concepts as the essential knowledge that nurses must use in concrete nursing situations. In the community setting, some of these concepts are applicable: perception, growth and development, time, communication and interaction. They are useful in promoting and preventing occurrence of health problems which is the prime focus of community health nursing. In care of children in the community setting, promotion of health activities is of priority. Handwashing and cough etiquette lectures are very timely activities today because of the pandemic spread of Influenza A (H1N1). In interacting with children, we utilized colorful instructional materials and terms appropriate for their ages for easier comprehension. Children are encouraged to participate and are recognized when they are able to do the procedures properly. Time is also a basic consideration; lectures were conducted at the early part of the day to assure that there energy levels are still high and that they are prepared mentally. In applying King’s theory, nurses must understand the extent of the children’s understanding about the importance of handwashing and cough etiquette practice. It is also important that nurses must have self-awareness on how he/she perceives the health behavior as well. In dealing with children, the supporting persons are part of the decision making process because children are not yet capable of making decisions concerning their care. If the child and their support system together with the nurse mutually agree to meet a certain goal, then the process outcome will be goal attainment like in our case practice of handwashing and cough etiquette is achieved. I was able to understand that Imogene King’s conceptual system was used to build a world community of nurses who respect cultural differences and share the mutual goal of health in each nation. Last July 2008, I was given the opportunity to join a Medical Mission held in Phnom Penh, Cambodia for 1 week. It was organized by Youth With A Mission (YWAM), a Christian organization. Together with the health team, we were able to know what the main problem of the community was after the ocular survey. Khmer people living in the slum area were not particular with their hygiene. They don’t have proper clothing, took a bath in a muddy river, and they don’t brush their teeth. Henceforth, dealing with them was not that easy because of language barrier and culture differences. They don’t know how to speak English and part of their culture is to take a bath in the Mekong River from time to time because they believed that the said river can heal their disease. The truth is they don’t have enough knowledge and understanding of what could happen to them if they continue it. To solve this matter, we planned to coordinate with their town leader and did some health teachings to the community with the help of an interpreter. We gave them much information about the diseases they could get when they immersed with that kind of water. We also taught them how to brush their teeth properly. Clothes were given and some vitamins as well. We talked with several people and fortunately, they gave us good feedbacks. They were able to understand that the health team had no intention to disrupt their culture but instead, showed them a better way of having healthy bodies through clean-living lifestyle. Through that, I was also able to appreciate one of Imogene King’s assumptions of an individual: that they have the capacity to think, to know, to make choices, and to select alternative courses of action. It was such a great experience as a nurse! Caring for the elderly must be done with love and respect. It is a skill that may or may not come naturally to an individual, but either way, members of the family move ahead and do the best they can for their loved one. Three years back, I have a patient who had Alzheimer’s disease for two years already. As for me, it is one of the difficult patient to encounter since the disease is incurable, degenerative and terminal. She has been in and out of the hospital for several months due to complications of the disease. It has been stressful on the part of the family, looking at the patient day and night suffering from the dreaded disease. One could only imagine how many nights they could not sleep well worrying what will happen the next day. Despite all of what they are facing, they should stay strong. In the midst of what happened those days, I could remember some of the things that I have done for the patient. I can remember the way she greeted me with a smile and simply say hi every time I entered the room. Although sat times she’s cranky. I can remember the way she tells stories with enthusiasm. And I can remember the way her family showed their love and affection to her. They hug and kiss her. They try to give the best for her. And I salute them for their patience, love, and generosity. As a nurse and as a person, I never thought I could encounter such patient. I never imagined that it was difficult to approach and manage a patient with Alzheimer’s. I was depressed then that I could not do anything about the disease. But then again on second thought, why think of the things that I could not even answer?! What I did was, I talked to her family instead. I reached out to her family because I understand what they feel...and I sympathize with them even if I know that this is not good and not a therapeutic way of communicating. I tried my best to attend to the needs of the patient, may it be in physical, emotional, spiritual, and intellectual aspect. Day by day I was beginning to understand the disease per se and eventually the patient. I thought of making a plan and set goals for the patient. My problem then was the patient cannot follow the things that I have to tell her for us to be able to attain our goals. So, I thought of another plan, why not involve the entire family in rendering care to the patient. I told the folks about these and they gladly said yes. Although I could not change the status of the patient in relation to the disease itself, I manage to somehow change a little bit the condition of the patient. Physically, she was able to move some parts of her body to prevent muscle atrophy through the simple exercises and massage that we do to her every morning. Somehow we managed to talk to her even at the peak of her mood swings and let her tell stories of her past experiences as a wife and mother. We managed to let her out of the bed hassle free for quite some time. For some, this might be insignificant changes, but for me and for the family as well, meant a lot already. At times we cannot do all the activities for the day because of her mood swings. We can only react to what actions she showed to us. If she does not pull her hands and shout at you during the massage of the hands then we continue the massage. If she does not grab the blanket and cover herself during the exercises then we continue the exercise until we’re done. There are days that we cannot do anything at all. But there are days that we fortunately finish all the activities for the day. These is the way I together with her family, manage the patient. 1. Alligood M.R, Tomey. A.M. Nursing theory utilization and application. 2nd Ed. Mosby, Philadelphia, 2002. 2. George B. Julia , Nursing Theories- The base for professional Nursing Practice , 3rd ed. Norwalk, Appleton & Lange. 3. Wills M.Evelyn, McEwen Melanie (2002). Theoretical Basis for Nursing Philadelphia. Lippincott Williams& wilkins. 4. Meleis Ibrahim Afaf (1997) , Theoretical Nursing : Development & Progress 3rd ed. Philadelphia, Lippincott. 5. Taylor Carol,Lillis Carol (2001)The Art & Science Of Nursing Care 4th ed. Philadelphia, Lippincott. 6. Potter A Patricia, Perry G Anne (1992) Fundamentals Of Nursing –Concepts Process & Practice 3rd ed. London Mosby Year Book. 7. Tomey AM, Alligood. MR. Nursing theorists and their work. (5th ed.). Mosby, Philadelphia, 2002. 9. Kozier, Barbara et. al. (2004). Fundamentals of Nursing: Concepts, Process and Practice (7th Ed). Philippines: Pearson Education South Asia PTE LTD.
12. 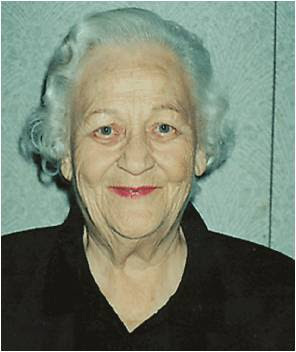 Murray, Ruth L.E. and Marjorie Baier. "King's Conceptual Framework Applied to a Transitional Living Program." Perspectives in Psychiatric Care 32: 15-20.